Are you a dog person, a cat person, or a little of both? Both dogs and cats make loving and fun pets, but this month is set aside for people to consider adding a kitten or cat to their family by adopting one from a local animal shelter. With their various personalities, cat’s make fascinating, entertaining, and endearing pets. If you’re thinking of getting a pet, June offers the purr-fect time to adopt a cat. Simon, a little gray tabby, proudly introduces himself, saying, “I am a cat. Just like you!” You might think this sweet greeting would be met warmly, but instead, the kitten’s audience stares at him wide-eyed and then…bursts out laughing. The tiger, lion, cheetah, puma, and panther think this is the funnies thing they’ve ever heard. Copyright Galia Bernstein, 2018, courtesy of Harry N. Abrams. The lion protests that the little ball of fluff can’t be a cat because “cats have a mane and a tuft at the end of their tails” and a fierce roar because “they are the king of all beasts.” The cheetah didn’t think the gray cat had the legs or speed to be a cat. The puma had never seen such a small and weak cat living in the mountains like he did, and the panther knew cats were black and lived in the jungle. The tiger may have been the most skeptical of all. He thought that the gray creature in front of him might be a rat, but a cat that wasn’t orange? Ha! Simon looked at each cat with their individual traits and wondered aloud how they could all consider each other cats, but not him. Well, replied Lion, it’s “‘because we also have many things in common. We all have small, perky ears and flat noses…long whiskers and long tails.’” They also all showed Simon their teeth and claws and eyes that could see in the dark. Galia Bernstein’s ingeniously uses a variety of “big cats” to expose the kinds of smug, narrow-minded thinking that leads to prejudice based on color, abilities, social standing, and size. Simon’s polite push-back to the rebuffs he gets from the other cats echos the kind of honest, probing questions that little ones often ask. To their credit, the other cats recognize and admit to their blind spots and welcome Simon into the family. Bernstein’s straightforward storytelling provides a perfect setup for the satisfying and enriching ending. Bernstein’s bold images of each big cat interacting with adorable and earnest Simon cleverly demonstrates the differences as well as the similarities between them. The lion and Simon lie side by side, their paws crossed and their tails intertwined. The puma and Simon sit next to each other leaning slightly to the left. And the panther and Simon both lounge in a tree batting at the same butterfly. The final spread of all the cats frolicking together is joyful and will make children smile knowingly. 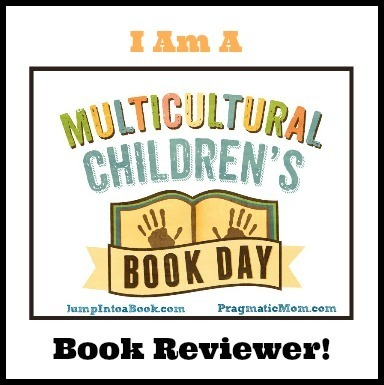 I Am a Cat is a story that’s as fun as it is meaningful and deserves a place on any child or classroom bookshelf. Discover more about Galia Bernstein, her book, and her art on her website. You’ll love watching this I Am a Cat book trailer! 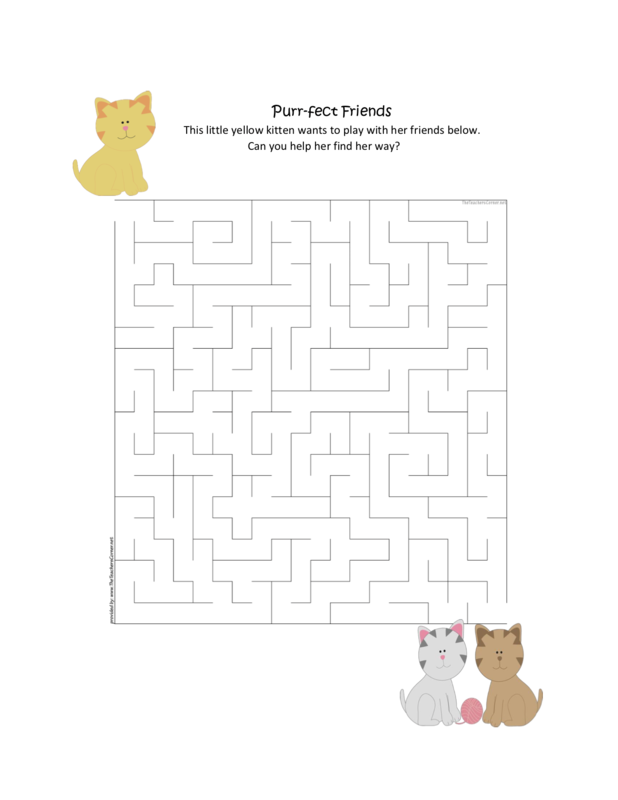 One little kitten wants to play with her friends, Can you help her find her way in this printable puzzle?